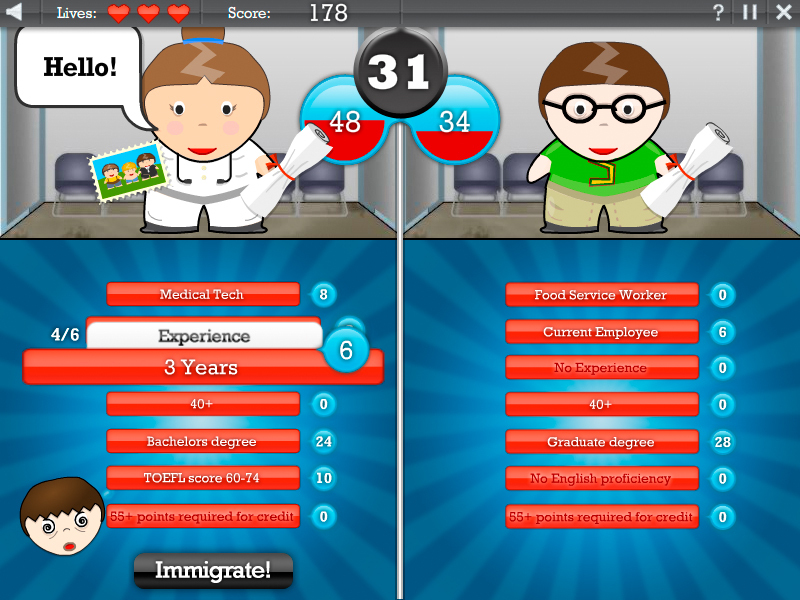 In 2007, my studio Persuasive Games embarked on a series of newsgames published by the New York Times. It was Kind Of A Big Deal At The Time, because it was the first real attempt for a major newspaper to publish videogames as news content (rather than as puzzles). 2007 doesn’t seem like that long ago, until you think about it. The iPhone was launched that year. The 2008 global financial collapse hadn’t happened. Facebook was three years old, and mostly still used by university students. And it was, alas, just a bit too early for the Gray Lady to experiment with newsgames. We were being paid like columnists and hemorrhaging money to produce even the small games we managed to get done. Our editors changed a couple times, and they were really too busy to take on something as new and weird as games. And IT integration was a mess. Eventually, the whole project just evaporated and disappeared. In retrospect, Bogost is convinced that the New York Times meant no harm in dropping their arrangement with his studio so suddenly. Rather than wickedness or deceit, organizational politics are likely to blame. As budgets tightened and staff reduced, who could blame an editor for making compromises? Certainly nobody would notice if a videogame didn’t make it onto the Web site. No horseman was deployed to the front of the charge of the newsgames brigade at the New York Times, so the cavalry retired to their desks. We had more ideas, but editorial desk started rejecting them. A game about gun sale laws and how they encouraged commerce across state lines following the April 2007 Virginia Tech massacre. A game about the cult of Apple (even back then!) in advance of the iPhone’s release that June. Some of them were better than others, but none of them got made in the end. 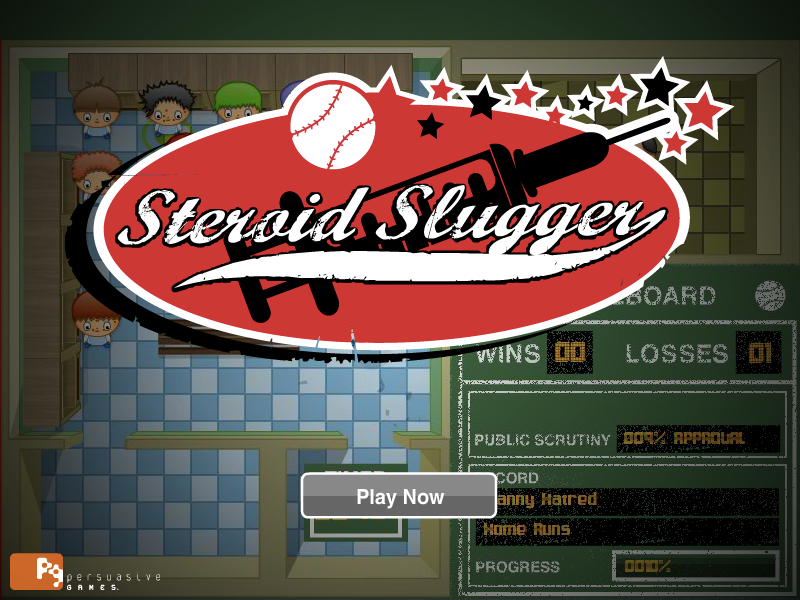 That summer, we had nearly finished another game, Steroid Slugger, about the strange politics of steroids in baseball. We were going to be ready to release it in time for Barry Bonds to pass Hank Aaron’s legendary home run record in August. But before we could, the editorial desk stopped responding to us entirely. The game itself is… well, it’s quite unique, to put it gently, and mildly broken. We never finished it, and its ambitions probably outstripped its reality. The idea was to try to present steroids as an integral part of the modern game of baseball, one driven by the incongruence of fan expectations and public opinion, as both interacted with the business of the game for managers and commissioners—particularly in the context of historic records. I think about the game every year when baseball season starts. This year it occurred to me that some might benefit from seeing it, especially as interest in newsgames seems to be on the rise once more. So, with apologies for its flaws, almost eight years later, I give you Steroid Slugger to take a swing at. Click the image below to play (Flash required).